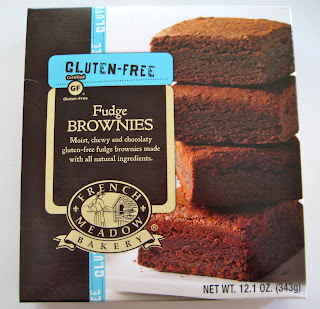 Raising Jack With Celiac : Individually Wrapped Gluten-Free Fudge Brownies! 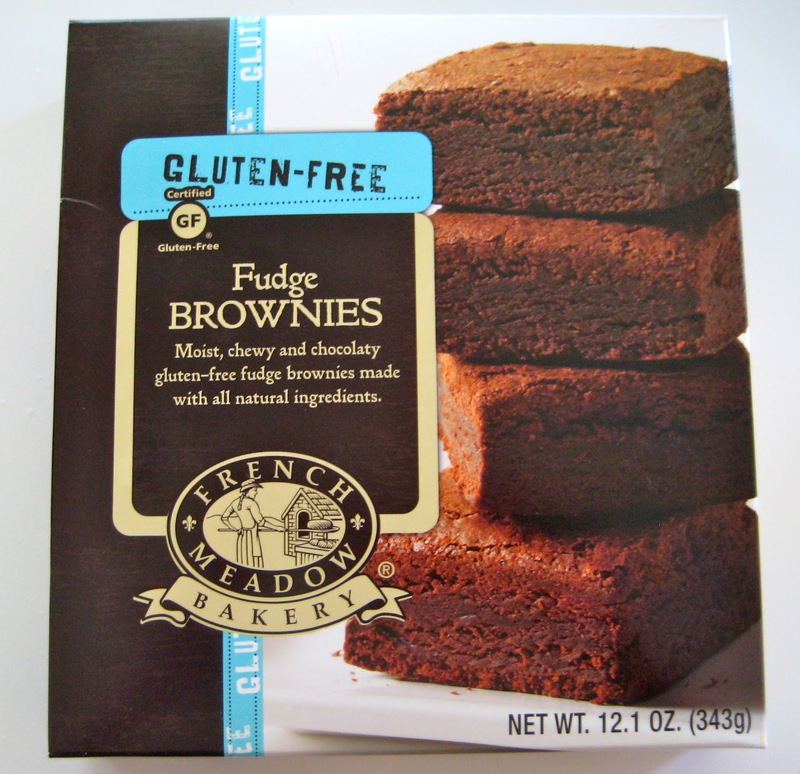 Individually Wrapped Gluten-Free Fudge Brownies! So he went to the store one evening and came home with these brownies. He said, "I thought we might give these a try. They're individually wrapped brownies...they may be good to have on hand for Jack." And my hubby made a good call picking these up! They have come in very handy when Jack has needed a special treat for a birthday party or school. 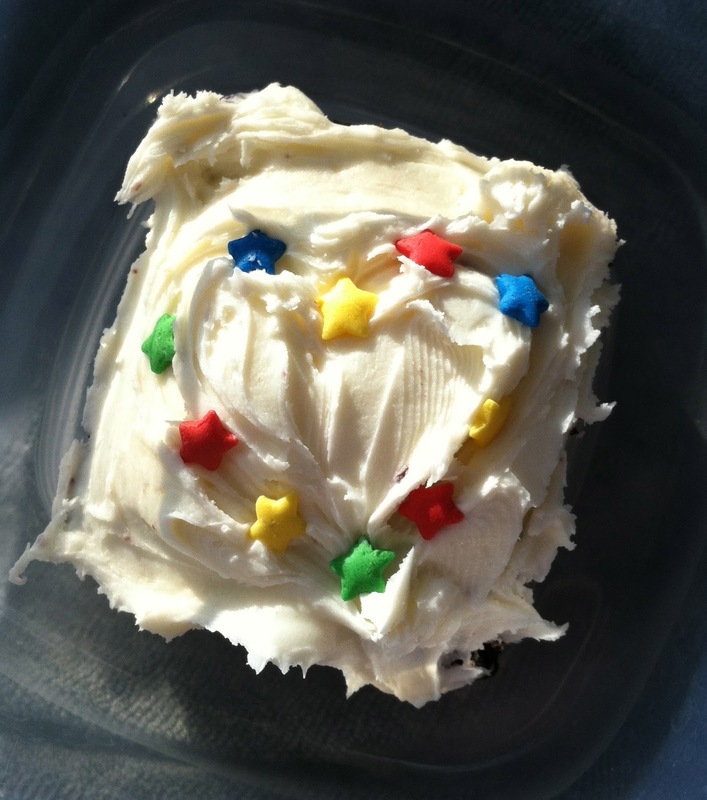 Decorating the brownie for a pre-school day treat! These brownies came in handy when I went to drop off Jack at pre-school and his teacher informed me they were having Little Debbie Heart Shaped Cakes for an early Valentine's Day treat! Usually, Jack's teacher and I discuss the upcoming snack or special treat for the next day - I'm not sure what happened, but I had nothing for Jack. So I went home, got a brownie out of the freezer and made Jack's own little heart shaped treat! And back to school I went. He LOVED it! So for birthday parties, I usually make something like this as well. I can't forget to mention that they are made with all natural ingredients. How about that?! Ingredients: Sugar, expeller pressed canola oil, eggs, potato starch, cocoa alkali processed, natural vanilla flavor, salt, xanthan gum, natural chocolate flavor. I think you'll be pleasantly surprised how moist they are too! I really enjoy them myself - I think I eat most of them when they are in the house, but whose counting?? If you see these at the store, give them a try, you'll be happy you did!